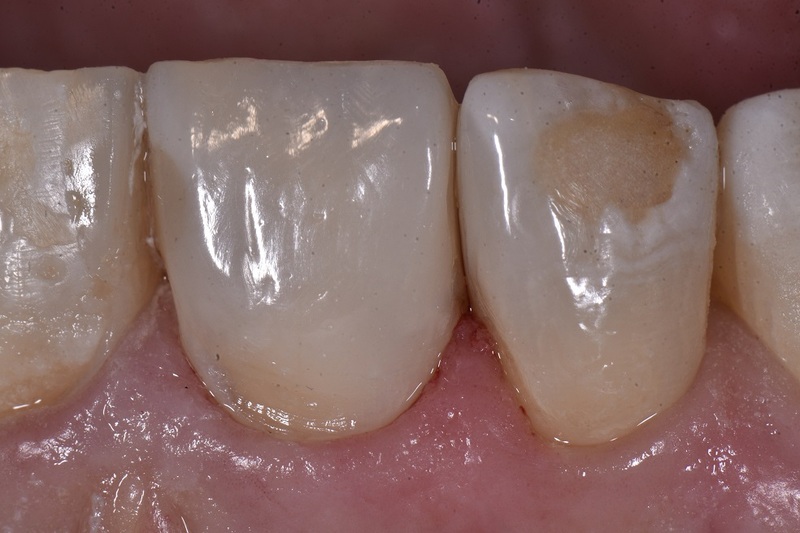 This was a bit of an ambush – I had only planned for a DB as planned radiographically and then this massive chunk literally pinged off the tooth, leaving me with a monstrous Class IV. 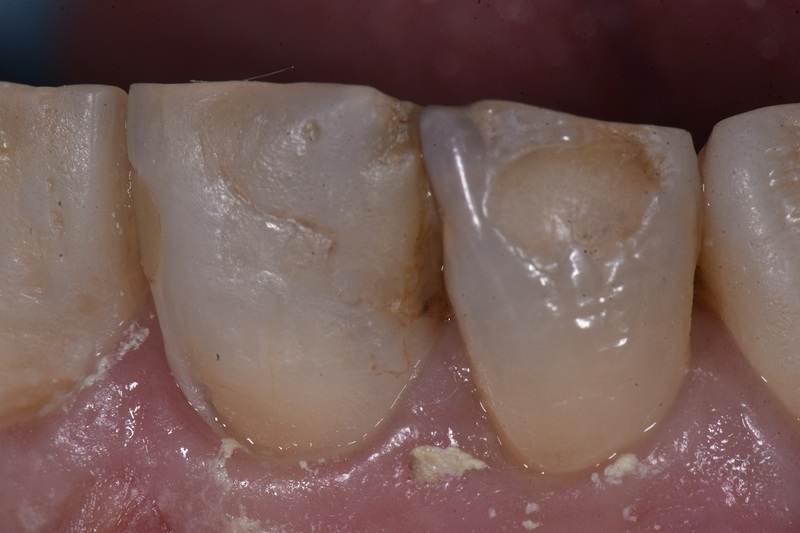 Tooth 12MBL was as planned, replacing just the proximal restoration, leaving the facial alone. 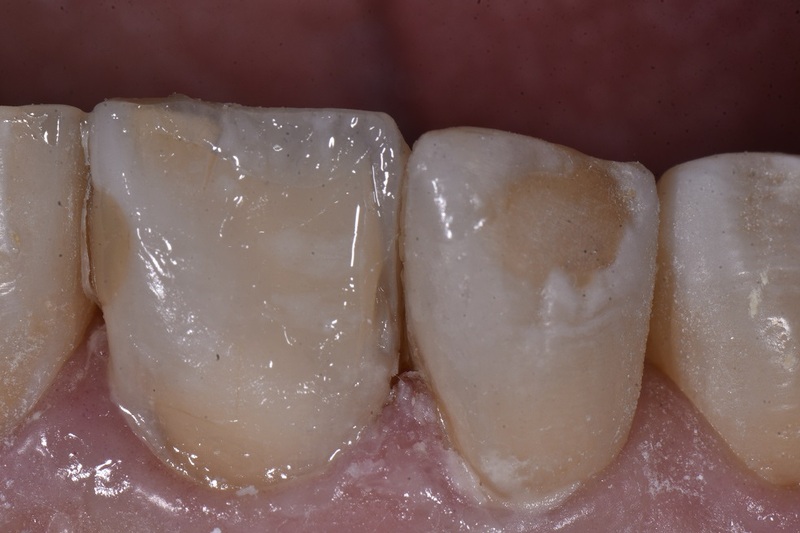 The restoration was layered using the Vita-Approved Majesty ES-2 system: A1E and A2D with some Trans Clear and white tint in the penultimate layer. 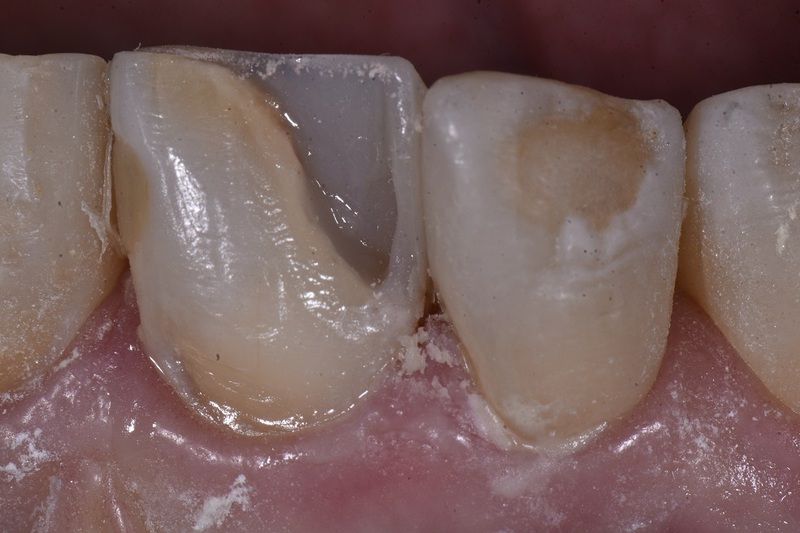 Sometimes I wonder whether it is better to crown the tooth now or wait… at this stage, the patient says to do it right before she retires in 5 years. Exactly my preference.